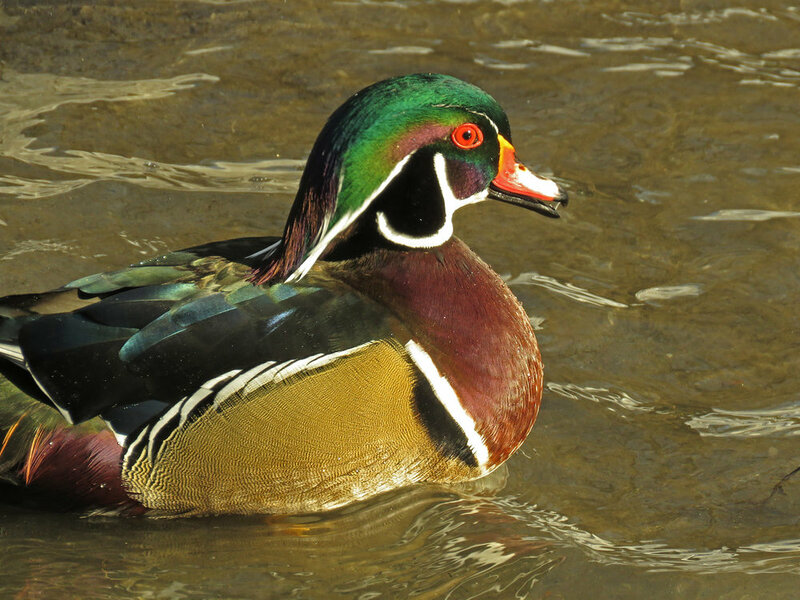 My favorite duck! 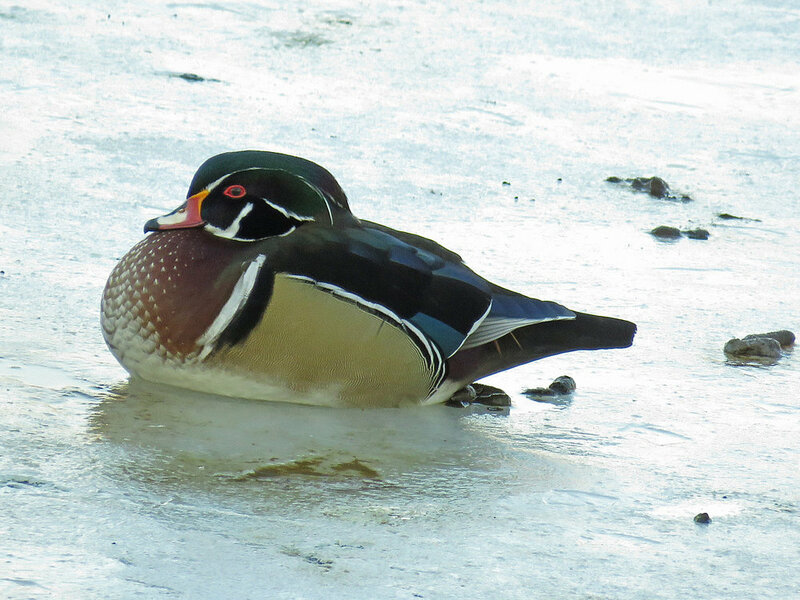 The wood ducks (Aix sponsa) I've seen are the most beautiful ducks ever. 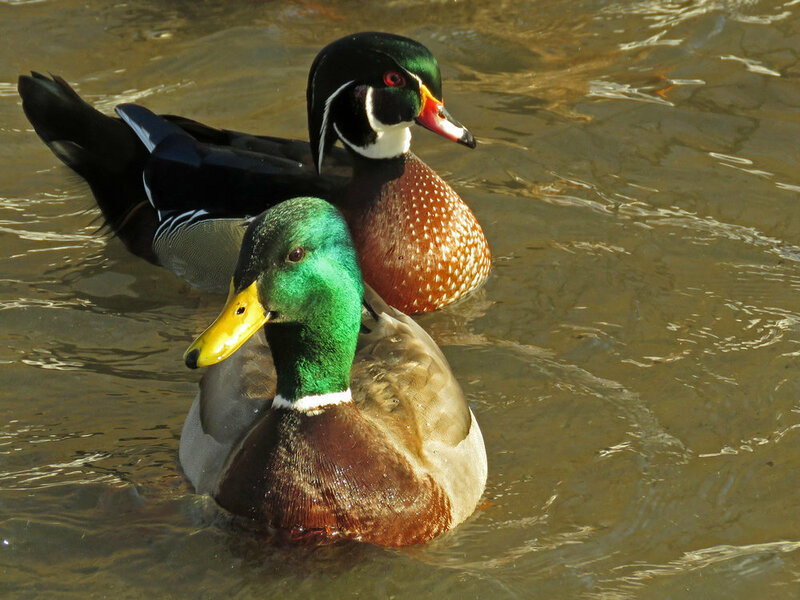 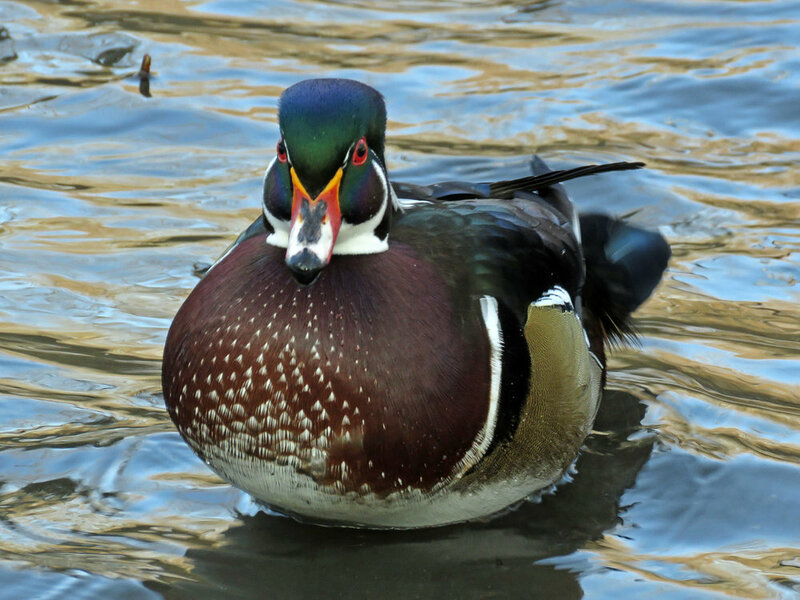 My favorite wood duck, Woody, has his own page on this site.